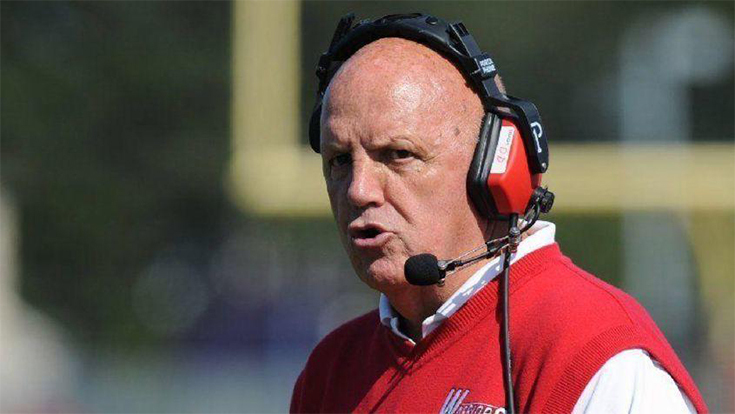 Today on the Coach and Coordinator podcast, Keith Grabowski has former East Stroudsburg University coach, Denny Douds as his guest. Douds has coached some of the most notable coaches in football in every level, including the likes of James Franklin, Pat Flaherty and Harry Hiestand. He talks with Keith about teaching while coaching, the changes in the game, what’s important in coaching and some of those coaches. Lastly, Douds spoke on his non-traditional but notable way of retiring from football. Denny Douds is the all-time winningest coach in the history of the Pennsylvania State Athletic Conference. He spent 44 seasons as head coach and 52 years at East Stroudsburg University. He was the winningest active coach in NCAA football with 263 career victories. He ranks 16th in NCAA history in career wins and seventh in games coached (462), behind only John Gagliardi, Eddie Robinson, Amos Alonzo Stagg, Joe Paterno, Bobby Bowden and Pop Warner. He ranks 10th in NCAA history in career wins at one institution. He is one of 15 men to reach 40 seasons as head coach in college football history, the ninth to coach 40 years at one school, and the fifth to spend all his 40+ year career at the same institution.